include crowns, bridges, implants, root canals, veneers, whitening, night guards, snoring appliances, dentures, extractions, and more. 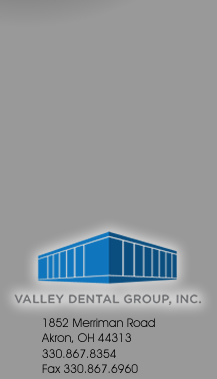 In practice since, 1974, Valley Dental Group strives to help our patients feel at ease. 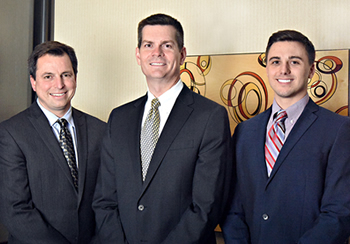 Our patients routinely tell us that they enjoy coming to visit us because we make them feel comfortable with our non-intimidating manner. Our beautiful office is located in the Merriman Valley of Akron Ohio. The building is designed to fit perfectly in the setting near the metroparks and Cuyahoga Valley National Park. There is a creek flowing under the building, with floor-to-ceiling windows providing incredible views right from the dental chair!